Before suiciding myself one more time in the deeper levels of Dragon Eye, I decided it was time to do some shopping in Kuldahar. Unlike before, money will be spent this time. But before I do that, there’s one thing I think deserves mention. I’ve discovered the quick save and quick load hot keys (Q and L) and it’s absolutely glorious! I went to the blacksmith first, hoping I’d get another reward for saving his son. His wares seem to have restocked, because he had a Plate Mail +1, which I immediately bought. I gave it to Lorelei and then gave her old mundane Plate Mail Armor to Priscilla. She already had one, but this one had a cooler color. I wanted to give the last Plate to Alana, but sadly, her strength is too low to carry it without being encumbered. Conlan is the blacksmith, by the way, so it really is his hammer. There was no experience reward, but Sheemish did give me a key to a chest nearby, which contained a Conlan’s Hammer. This generally isn’t an extremely useful weapon, but if I ever fight iron golems, I’ll be sure to use it. I also bought some spells, but not much else. I wanted to buy a robe from the local wizard in Kuldahar, but apparently, everyone restocked, so it wasn’t available any more. I do have Melf’s Acid Arrow now, though, so trolls should be less of a concern. 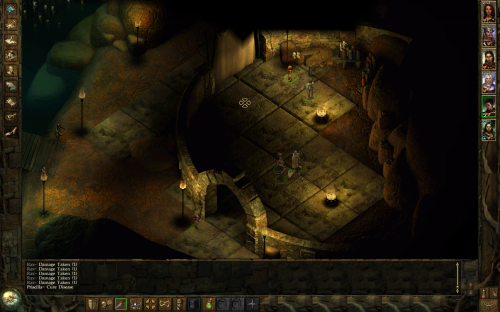 It turns out I accidentally alerted the large group of priests and trolls to the south as I was leaving the dungeon previously. What happens in that case is that you aren’t technically in combat as you enter the level, so you can rest or save, but the enemies are aware of you and go straight to you, eventually pushing you into battle. This is exactly what happened. The first few times, I died, but after a few tries, my spells and items allowed me to push through, so this huge and difficult battle was dealt with. The biggest issue by far were the priests, since they love to cast paralysis spells. Luckily, their health was low, so using Lorelei, Priscilla and Robin to charge in and kill them worked well. For the most part, they weren’t able to cast a single spell before dying. For some reason, though, the last priest kept trying to run away. This isn’t the usual behavior you’d see in a game like this. 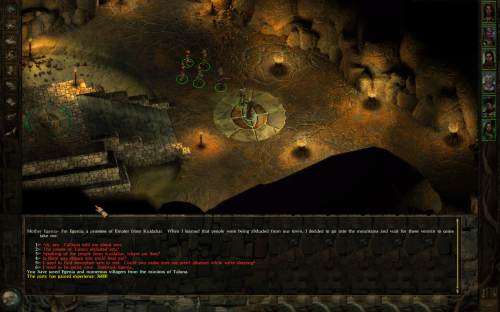 I guess priests are like postmen of Faerun – they always offer their services, no matter what. 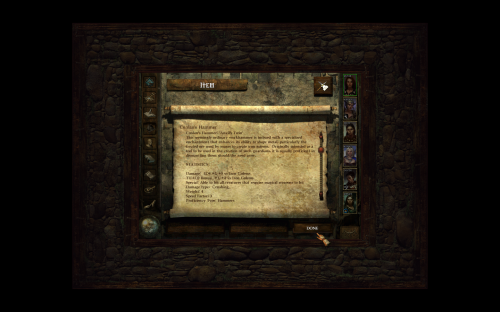 The priest of Ilmater turned out to be a priestess – Egenia from Kuldahar. She didn’t provide a lot of information, but I did get 36.000 experience out of rescuing her, and she offered to heal me or keep me safe while I rest. The thing about these caves that bothers me are the captive villagers. Most of them do nothing, but some of them trigger experience giving events. It’s all probably well implemented and I’m sure that it’s difficult to miss any, but I can’t help but feel that I am missing them unless I talk to everyone. Throughout the third level, an unknown presence was talking through an Undead Lieutenant and sending Cold Wights at me. Since they give a lot of experience, I wasn’t especially bothered by this. The Blast Skeletons, however, did bother me. They explode when it or when they get close enough, casting Snilloc’s Snowball Swarm and doing a lot of damage to everyone in range. Their range is also much bigger than that of Bombardier Beetles, so I was especially careful to take them out from range with Robin. Eventually, I got to a guy called Presio, who was surrounded by a horde of zombies. Sometimes I really hate myself, and this is one of those times – I forgot to take a screenshot! 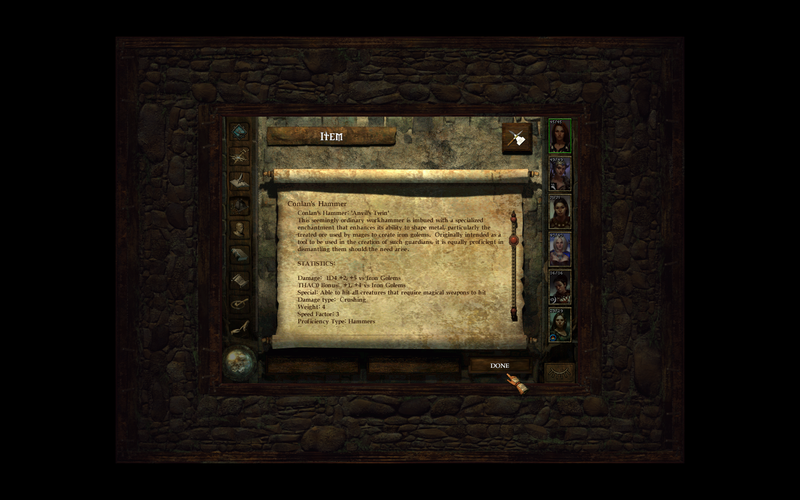 In any case, Presio was a necromancer and he had plans, as his war journal would indicate. Sadly for him, he wasn’t very smart. I got into his room and ran out as soon as I saw a magical cloud being cast on the ground. His zombies followed but he didn’t. A well placed Fireball softened the masses and the rest was handled by Alana’s Turn Undead and the party’s weapons. By the way, zombies give 1000 experience each. For something that falls from one or two arrows, that’s pretty generous. Presio was nice enough ti die quickly. He also left a lot of stuff, and traps. Anyway, I got rid of the zombies and then used Aleen to cast a Chromatic Orb on Presio, stunning him before he could react. Once that was done, it was just “select all and left-click”. He dropped a nice robe for Aleen as well as some other stuff. Oh, and there’s a level 4 of Dragon Eye. Gee! I guess that means we’re getting close! 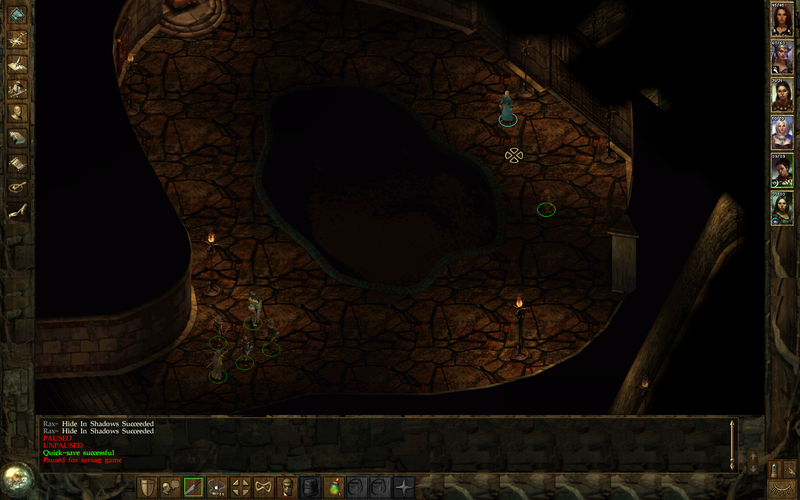 The first room is empty, other than a single NPC I can talk to, wearing robes. I wonder if he’s a good guy. Be weary of anyone wearing robes 4 levels into a dungeon. Apprently, he is. He’s Albion, a keeper of a retreat devoted to Eldathyn, the goddess of nature. He knows nothing about the Heartstone and says we could see their healer if we wanted to. If it isn’t obvious, I’m very suspicious of this guy, but for now, he isn’t attacking and neither am I. I will say this though. I fully expected an ambush at this point. But as usual, this was taking a bit long, so I decided to end my session here. 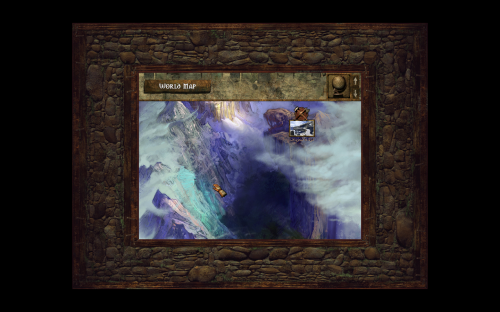 While waiting for my party to go through a cleared location, I was looking at the map and accidentally flipped the mouse wheel. You can SCROLL THE WORLD MAP! Yup, I’m definitely not even close to the first half of the game.